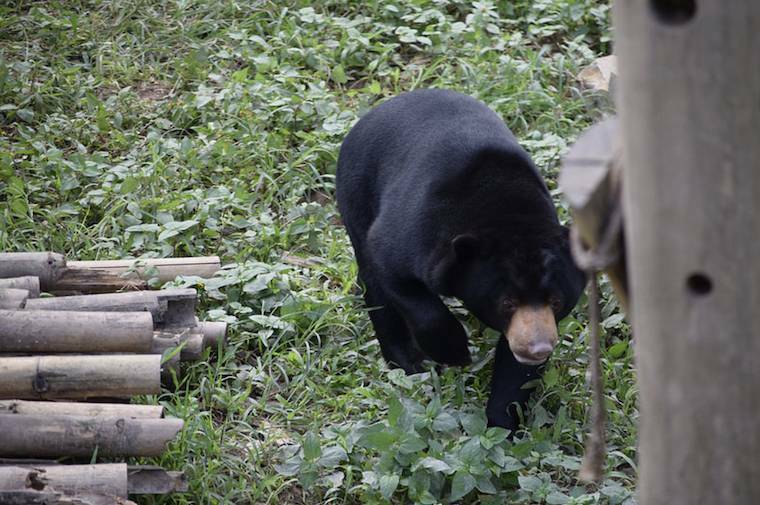 After rescue from seven years in a dark cage, sun bear Annemarie remained too frightened to go outside, but now she knows grass is great. Young sun bear Annemarie used to keep her carers up all night. They were so worried about her lack of progress that they simply couldn’t sleep. Annemarie was snatched from the wild by poachers and sold as an exotic pet when just a tiny cub. She spent seven years in a tiny cage within a dark, damp room. For all those long years, Vietnam’s tropical sun could barely force its way through the tiny windows thick with dust and cobwebs leaving Annemarie to languish in a world of darkness. A whole year after being rescued by Animals Asia, she remained deeply traumatised and barely dared set foot outside. Unlike the other young bears she lived with, Annemarie never rolled on the grass, climbed a tree or foraged for her food outdoors. But her carers refused to give up and every sleepless night became a chance to think up new ways to help Annemarie emerge from her shell. “Annemarie has required every ounce of patience, love and gentle encouragement that the team possesses. We have constantly been working to reassure her, comfort her and let her know nobody will hurt her anymore and in all honesty there have been times when her lack of progress has really got us down." 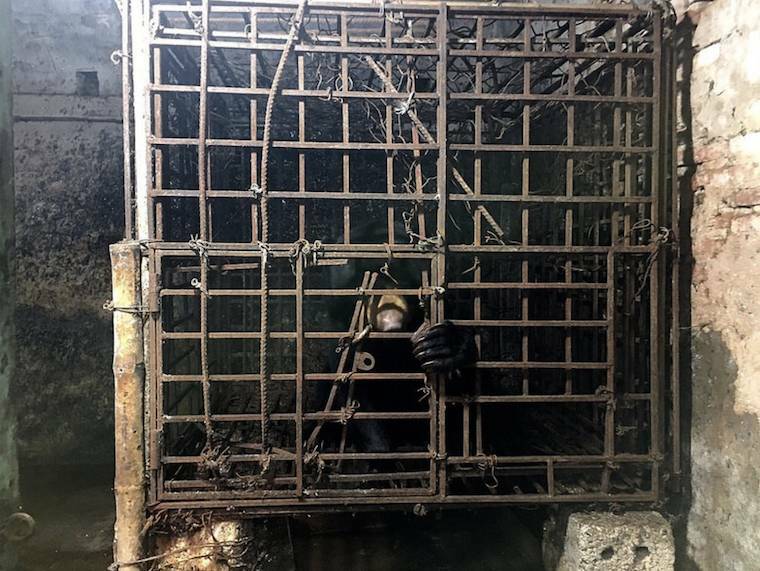 To help Annemarie adjust, the team began to give her time alone out in the enclosure, keeping the other bears in their dens so that Annemarie could become comfortable with the unfamiliar outside world. “The time alone in the enclosure seemed to convince Annemarie that this was a fantastic space and to our complete amazement she now absolutely loves being out there. Annemarie’s carers have even seen her playing with fellow sun bear youngster Murphy while outside – something she would never have felt comfortable doing in the past. From a scared little bear who wouldn’t dare to set foot on grass, Annemarie has blossomed and now climbs structures, play wrestles and freely roams her outdoor enclosure. “It has truly taken months to get Annemarie to this point, but we knew this beautiful little girl would find her paws in the sunshine if we gave her enough time.